Windows 8 Professional 32-bit running on Laptop. 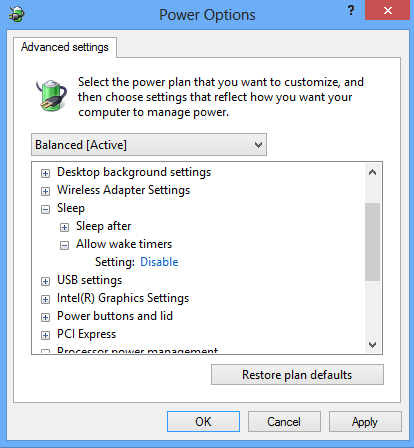 And the Hibernation option is missing from the Power Options in the System Settings. Even after I enable hidden power features by giving admin privileges. 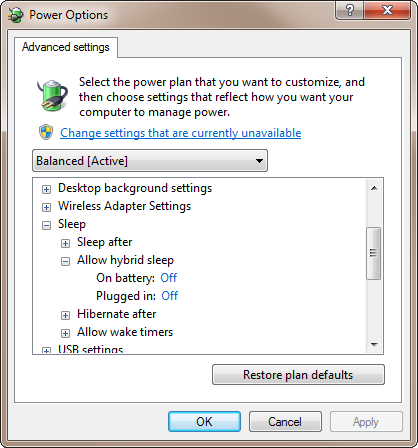 Also the option to enable hibernation is missing from the advanced power plan options. Thanks to magicandre1981 and his solution below I have found that you need to enable hibernation using a command prompt. Get to the Start menu, type 'CMD' this will begin the search. Press the CTRL+SHIFT+ENTER to start the command prompt with administrative privileges. Hybrid sleep is most likely enabled. From the screen above, return to Power Option screen by clicking Power Options in the address bar. And then click Change power plan link next to the active power plan. Alternatively you can click Choose when to turn off display or Change when the computer sleeps on the left pane. Click Change advanced power options. It has to be set to Off if you want to see Hibernate option separately. If power supply is interrupted, the system will read RAM from hiberfil.sys and resume from hibernation. 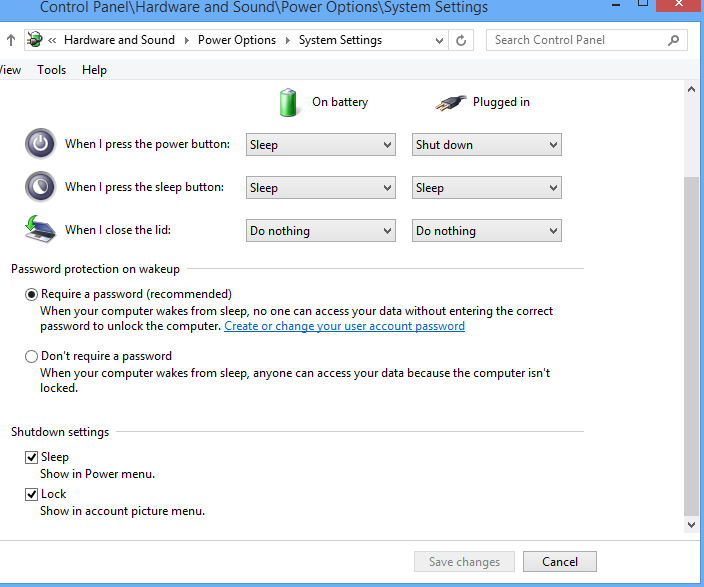 For laptops, it makes sense to disable hybrid sleep: it has battery, and thus the system will enter low power mode faster. If the battery level becomes low, Windows will automatically hibernate the laptop. The screen shot and the names of links are from Windows 7. This hasn't changed much in Windows 8, I have to no access to Windows 8 system at the moment. If hibernate worked but accidentally disappeared, as it happened on my pc you should open administrator promt and type there "powercfg /hibernate on" to restore. Not the answer you're looking for? Browse other questions tagged windows windows-8 hibernate or ask your own question. Where can I stop windows 7 from hibernating on leaving the lid closed for a long time? Why Hibernation does not work on my Vista64 Desktop? Why have my Hibernate and Sleep options suddenly Disabled? How to access the Administrator Command Prompt in Windows 8? How to permanently disable hibernation on Windows 10?